The Archive Description module is in the Archive modules category, which appears only when you're editing an Archive-type themer layout in Themer. The Archive Description module displays the description of a category, tag, or term when that's used to categorize the archive. 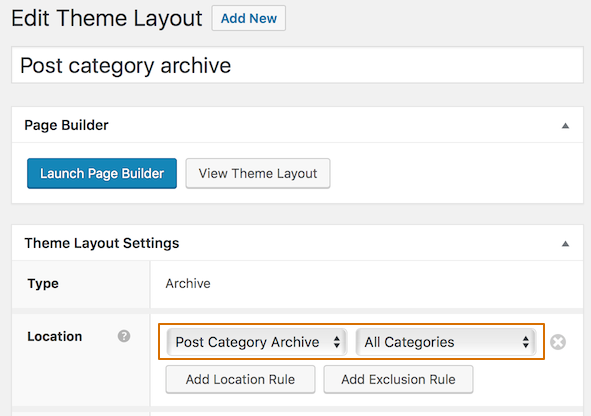 For the archive description to display, you must have added a description to the category or tag of the archive you're displaying, and the themer layout must apply to that type of category or tag. This will also work with categories or tags in a custom post type taxonomy. 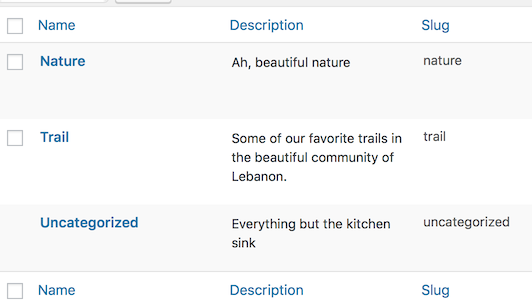 For example, suppose you have added descriptions to the categories you use for your posts, as shown in the following screenshot. 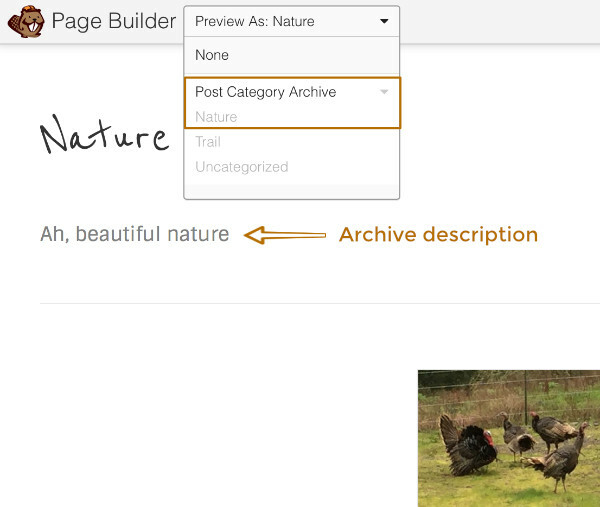 Then you add an Archive Description module to the layout. If you preview an archive page for one of your categories, you'll see the archive description appear, such as in the following screenshot. Tip: For Author archives, to display a description of the author you should use the Heading module with a field connection to Author Bio. The only settings available for the Archive Description module are those on the Advanced tab, which means you can customize margins, responsive layout, visibility, animation, and assign an ID or class name. Tip: By default, the archive description is left-aligned. To center it, you'll have to add custom CSS. Open the themer layout for editing in Themer. Open the Archive Description module. On the Advanced tab, add a custom class name. In this example, we'll use my-category-description. Save the module and publish the themer layout. Go to Customize > Additional CSS, and enter the following code, then Save and Publish.